Dr. John Lombardi is a Licensed Dentist in California. He has extensive experience in all facets of General and cosmetic Digital dentistry. He is one of a small number of dentists world wide offering Cerec and Cone beam Integration in his practice. Dr. John Lombardi was born in New York. He grew up in Orange County. He received his undergraduate degree at UC Irvine in Biological Sciences.He received his dental degree (DDS) from the prestigious University of California, Los Angeles (UCLA). 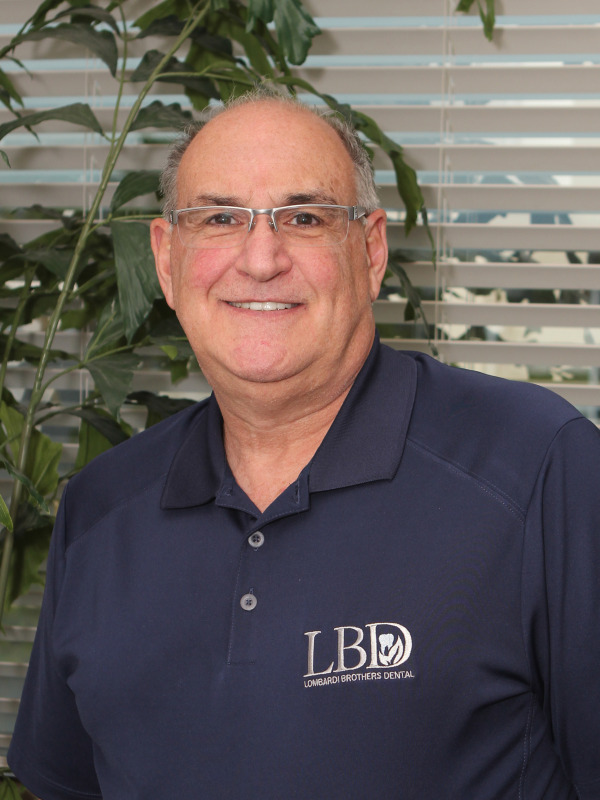 Dr. Lombardi joined his two brothers in a thriving dental practice in Lake Forest, California. Dr. Lombardi currently practices in a newly designed dental suite in Foothill Ranch, offering state of the art technology and patient care. Dr. Lombardi works closely with numerous respected specialists in the area to provide the most optimal care for his patients. Dr. Lombardi continues to be a lifelong learner attending over 60 hours of lecture and hands-on courses throughout the year to stay current on new techniques and treatment modalities. Outside the office Dr. Lombardi enjoys food, wine, camping, biking and traveling with his wife Debbie. They have two daughters, Kayte and Lizi and one son-in-law, Noe.